I pulled Monalisa Kent, the reluctant star of my novel HONK IF YOU HATE ME, out of a hole in the ground. An eight-inch-round hole, to be precise. 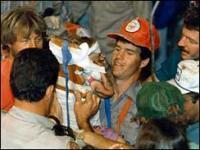 In 1987, eighteen-month-old “Baby Jessica” captured the nation’s attention when she slipped into an 8-inch-wide pipe. Around the country, people watched with bated breath as rescue workers gingerly dug for fifty-eight hours, eventually water-cutting into the pipe that imprisoned the child, saving her life. 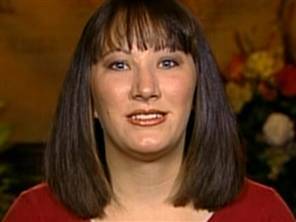 Since then, news crews have regularly hunted down Jessica McClure for various “Where Are They Now?” segments, and a TV movie was made about her rescue. Just as recently as October of this year, “The Today Show” interviewed her to commemorate her twenty-first birthday. “Baby Jessica” is even an entry in many cultural encyclopedias. I’ve always wondered how strange it would be to be famous your entire life for something you did as a small child, an age when no one is particularly aware of what they’re doing, and they often have little or no memory of doing it. Would you feel like a fish in a bowl? Would you feel angry or proud, would you feel pressure to earn your fame in a more deliberate way? What would it be like to be you? The more I wondered, the more Mona Kent took shape. She started answering these questions for me, and tossing out questions of her own. Trapped in my brain, she started mingling with other ideas fermenting in there, swirling among the memories and impressions I’d gathered over the years, finally bumping into my interest in the world of tattoo. By this time, Mona had left Baby Jessica and her eight-inch pipe far behind, and I found myself setting her story in the world of tattoo, a subculture that at once alienates itself and demands attention, all while welcoming anyone who has an open mind. I couldn’t imagine a more wonderful setting for the story of a girl desperate to hide from a world that won’t take its eyes off of her. So there you have it. The inspiration for HONK IF YOU HATE ME, in a nutshell. Or rather, in an eight-inch hole.